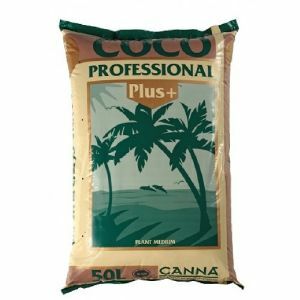 Canna Coco Professional Plus consists of 100% coco flakes. The Coco is washed in fresh water which means no salts are present. Nothing touches the ground outdoors during the production process, which ensures the Coco is free of harmful viruses and soil diseases. It also contains a special mould (Trichoderma) that protects the plants against soil diseases. Coco is perfect for use in hydroponic systems (such as dripper systems) due to the high air/water ratio, and is also great for hand watering in pots.